Labour is set to benefit from a swing in the student vote which could tip the balance of power in next year’s general election, a study suggests. Analysis for the Higher Education Policy Institute by Stephen Fisher, Associate Professor in political sociology at Trinity College, Oxford, confirms that the student vote responds to political parties’ policies on tuition fees – a factor likely to favour Labour and significantly handicap the Liberal Democrats in 2015. In a HEPI pamphlet, Do students swing elections? Registration, turnout and voting behaviour among full-time students, Professor Fisher says results in around ten seats are likely to be strongly influenced by how students vote, and across the country students could determine the balance of power due to close opinion polls, a fall in student support for the Liberal Democrats, and UKIP’s relative lack of appeal to students. However, a shift to a new system of voter registration this year, known as Individual Electoral Registration, threatens to weaken the student vote because it is less well suited to highly mobile groups. HEPI Director Nick Hillman said: “Our new analysis suggests students’ votes are swayed by student issues, particularly university funding. But for students to make a difference, they must register to vote, turn out to vote, and live in marginal constituencies. 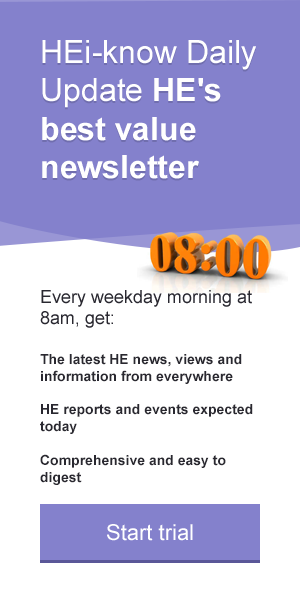 HEi-think: Nick Hillman asks - should universities help students to register to vote?